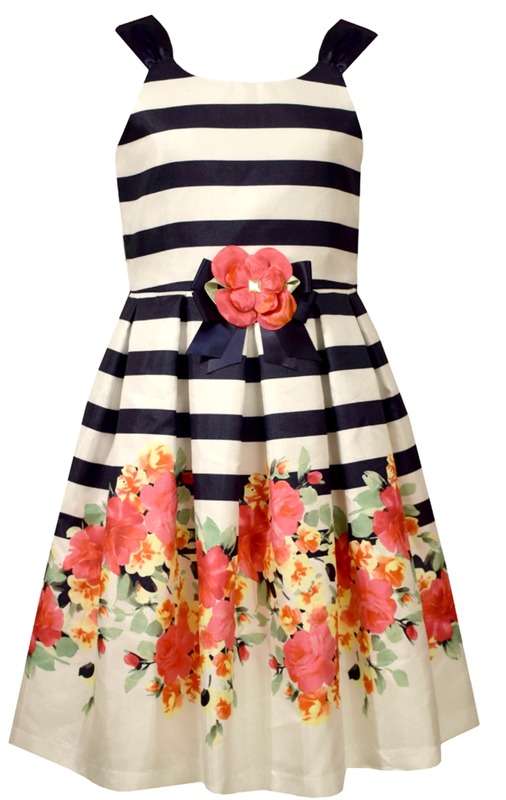 Gorgeous navy stripe sundress features pretty square neckline, wide shoulder stripe and gorgeous floral hem with flower at waist. Lined with zipper in back. Very elegant dress for any occasion or special day!